Everyone wants to live in a beautiful and well decorated space, especially in this modern age. However, many people fail to achieve their interior design goals all because they think it is a million dollar investment that involves a lot of spending but the truth is, there are quick and easy things you can do to make your interior glam and outstanding. You do not have to be a professional interior designer to participate in decorating and giving your living space a midas touch that fit your taste. Interior design is all about making a space your own with any available material that you can find cheaply. Nevertheless, whatever your budget and preferred style, you should always seek expert advice so as to get even more detailed tips to make your interior design perfect. Below are 16 insider tips on interior designs that will help you achieve a magnificent interior. Having a plan well laid out for whatever design you intend to achieve for your interior should be the first thing to consider before making any move. When planning your interior design, ensure you spend your money on things that are going to last forever. As you plan, do not include stuff that you don’t need. Avoid impulse buying by sticking to a tight color palette and plan with care so as to ensure the finished scheme complement well and work as a whole. Furniture plays a very major role in interior design. Having them at the right place will give your interior a spacious look which will not only allow you to move freely but also leave room for other creative ideas. Having a round table in a small room will make your interior flow better. This way, you will also be safe from banging your hips on sharp corners. Anyone will tell you that a great interior should have a range of layered lighting that can be controlled separately at different times of the day or mood. One of the most important tips on interior design about lighting is that, most rooms require three types of lighting. These are general, accent and task whereby General, also referred to as ambient lighting illuminates a room in a uniform manner. 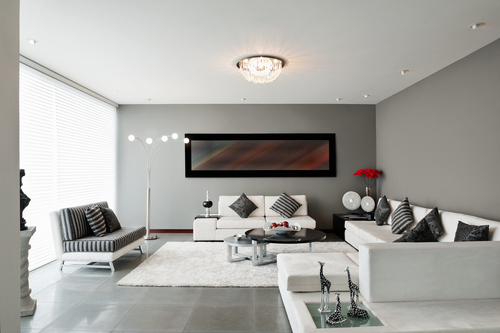 Accent lighting works more on emphasizing a room’s features i.e. the decorative objects and art whereas task lighting is all about adjustable and directional light sources. These include study and reading lights. Spice up your interior by trying to illuminate most of you room with a variety of lamps and lights. When thinking about giving your space a good interior, it is important to brainstorm all options available. These range from the modest to the over the top. Take time to go through Travel magazines, journals or even visit interior design exhibitions so as to be familiar with the emerging trends in interior design and also keep you up to date with new products, new ideas and materials. Samples are very important especially at the beginning of a project because they represent possible options, a number of great and smart ideas and are also worthy to consider. The samples can also act as reference for many other materials. The samples represent a record of selection as the project develops. It is paramount for anyone to always try anything before making a purchase so as to ensure that you spend money on what you really want. Many suppliers and stores let their clients take pieces like wallpapers, rugs and artwork so as to try them out before choosing their most preferred. You ought to know that chairs are a very important aspect to consider during interior designing. This is because they can either break or make your desired arrangement. This is among the most important tips anyone should consider because they are perfect design tools and always add uniqueness to any interior design. To achieve a perfect and smart looking interior, always ensure you order for full height curtains only. Take the rod or track to the ceiling. Better still, you can cover up the track inside a lower level pelmet. Among the most important tips on interior design, removing all the mess and stuff you do not need is one of the most effective things you should do before proceeding with your interior design project. Go through your house and remove all the crap and clutter. Only keep things that are both functional, beautiful and can be incorporated in your interior design project. One thing that most people do not know is that dark walls do quite the opposite of what people expect. 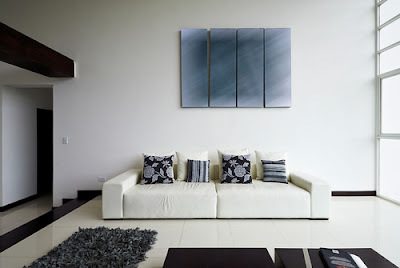 Dark walls make small rooms look bigger and spacious therefore do not shy away from experimenting with dark shades. Another key insider tip on interior design is using wallpapers on your walls because it is the fastest way to makeover sliding closet doors and walls. Wallpapers can enable you to turn any room into an office depending on the print. Having small scale furniture in your room will only make it look small and squeezed. For this reason, you should buy a bigger bed which has a tall headboard so as to make your room look spacious. Many people are fond of using only one pair of pillows on their beds but this only makes the room look small. Try using several pillows with different textures, colors and patterns to achieve a perfect interior design. Using rugs instead of mats is important because rugs look more artistic and also they were made to withstand a lot more friction than the regular mats. There is no rule crafted anywhere that a room should have a sofa for it to have a complete look. You can use a woolen carpet and huge throws well arranged instead. Another great insider tip on interior design is using different style in a room. You can use a wide range of styles merged together which include vintage, modern and any other style that fits your design. Interior design has become such a popular topic today because everybody has access to it. For this reason, one does not require to be a trained interior designer in order to enjoy the beautiful world that is interior design. Note that the finest interiors are those that are in line with you and your lifestyle. Use the 16 insider tips on interior design to help you make your living space into a magnificent place to be.